Many of the parishes in West Penwith have saints with strange names as many of them date from the 6th and 7th centuries when Celtic missionaries used Cornwall as a staging post on their journies between Brittany and Ireland. The sites of the churches are old with many rebuilt on the same sites in Norman and Tudor times and later much altered by the Victorians. Charles and John Wesley visited Penwith in 1743 and found the area populated by "godless and unruly" tinners ripe for religious revival. At one meeting in St Just over 2000 attended. 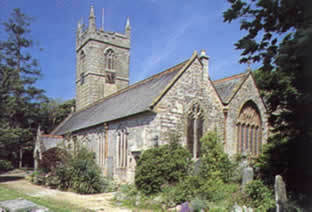 Methodism took a strong hold in Penwith but declined over the past century.